The entire surface of Proxima b — the possibly Earth-like planet orbiting the closest star to the sun, Proxima Centauri — may be covered in a liquid ocean, according to a new study. While there is still much to learn about the solar system's newfound neighbor, previous research found that Proxima b has two key features in common with Earth: it orbits within the habitable zone of its star — meaning it could have the right surface temperature to allow for the presence of liquid water— and it has a mass 1.3 times that of Earth. 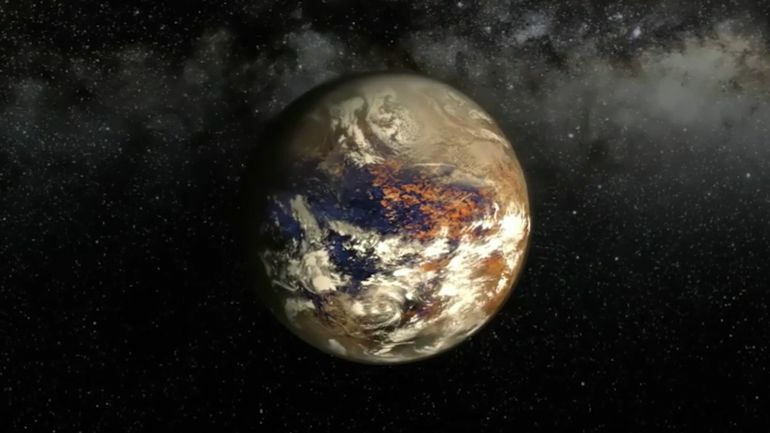 Using this information, a team led by researchers at the Marseille Astrophysics Laboratory in France, developed different models to help discover what the conditions might be like on the rocky exoplanet, according to a statement from NASA. 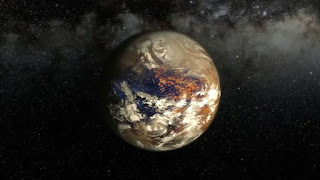 Proxima Centauri b (also called Proxima b) is an exoplanet orbiting within the habitable zone of the red dwarf starProxima Centauri, the closest star to the Sun. It is located about 4.2 light-years (1.3 parsecs, 40 trillion km, or 25 trillion miles) from Earth in the constellation of Centaurus, making it the closest known exoplanet to the Solar System. It is unlikely to be habitable, as the planet is subject to stellar wind pressures of more than 2,000 times those experienced by Earth from the solar wind. More information about the planet's physical characteristics is needed for a proper evaluation. In August 2016, the European Southern Observatory announced the discovery of the planet. The planet was found using the radial velocity method, where periodic Doppler shifts of spectral lines of the host star suggest an orbiting object. From these readings, the radial velocity of the parent star relative to the Earth is varying with an amplitude of about 2 metres (7 feet) per second. Researchers think that its proximity to Earth offers an opportunity for robotic exploration of the planet with the Starshot project or, at least, "in the coming centuries".